1. It’s all about a nice straight cut. That is why I made a wood guide to make my cut. 2. I used a skill saw to run down the wood guide. 3. The cut is 22″ up from the ground. Its wonderful as your other posts : D, thankyou for posting . “If Christ were here now there is one thing he would not be–a christian.” by Mark Twain. Did you buy this tank locally or have it shipped to you? If shipped, approx. how much was shipping? That company (American Tank Co.) was actually local and they paid to bring it in. If you live by a big city, chances are you can find a company that will bring one in for you. excellent idea to use a oil tank , ingenious really to cut it in half . Thanks man.. yeah it worked out pretty good. Wow ! 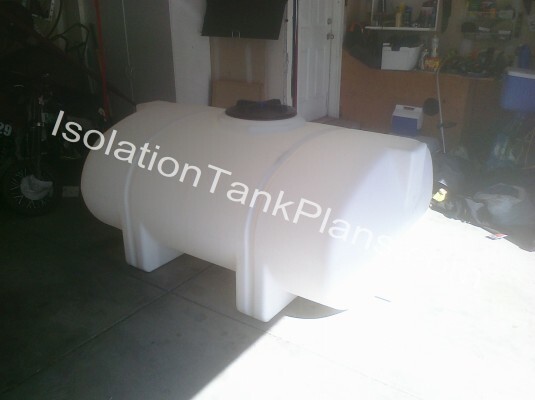 An isolation tank has been on my pipe-dream wish-list of thgnis that i’ll never have for quite some time You break it down so well, i should be able to afford to cook one of these bad boys up within the next couple of years. Thanks for sharing your ingenuity ! You’ll be ok… I’m 6′ and there’s plenty of space. I’m considering the same brand tank but bigger. I’m 6′ 2″ and really think the extra space would be worth it. 750 gallon Elliptical Tank, 88″ long, 69″ wide. It’s a cool idea, but you’ll have to do a lot of trial and error with the design. Mainly lid weights, shocks, etc. You should be able to float fine at 6’2″ but not much taller. Did you buy the tank? I’m 6′ 2″ also and am considering the same tank brand but bigger. Nevermind, didn’t read close enough. Still, do you bump into the sides? No your breathing and heartbeat actually send off tiny little ripples that keep you centered. It’s weird but bumping into the sides won’t be a problem. 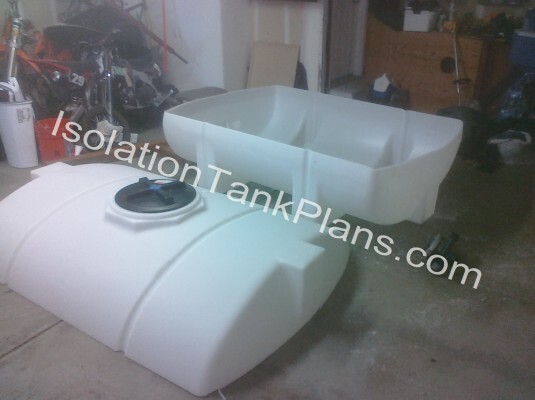 Can you help me find a local tank company near Grand Rapids Michigan? No but google can… 😉 I would call the manufacturer and ask them. Good luck! 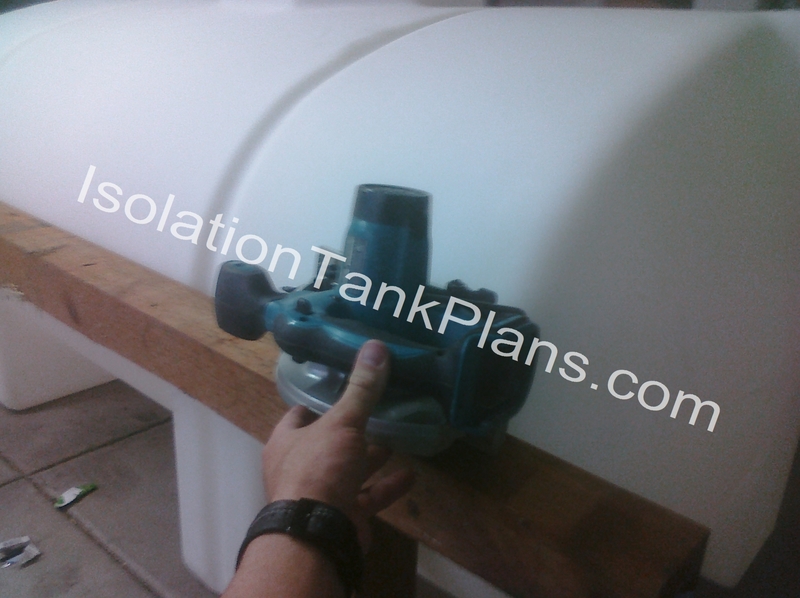 Speaking of breathing, how is your tank vented to get oxygen? I pump in oxygen with a condenser personally, but I did design it with two holes in the top so that it would have a chimney effect and draw fresh air in from the seams. I sell the plans to build the tank on my site.